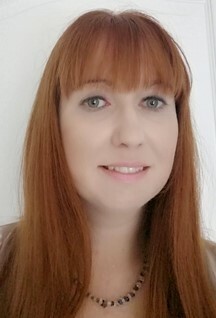 Amanda Copsey is a registered Clinical Hypnotherapist, practicing since 2011 in the West Midlands area, helping people deal with phobias, depression, weight issues, self esteem and confidence, and anxiety disorders. 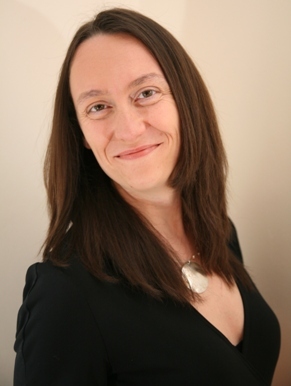 Amanda is also a registered Easibirthing® therapist, offering hypnosis for childbirth and pregnancy, she is also an Anxiety UK Approved Therapist. As a qualified life coach, I am passionate about change. Does this sound familiar, "if what you’re doing’s not working, then change it." If change is what you’re looking for, then you’ll want to work with me. Together, working smarter not harder, we’ll identify your values and beliefs, skills and strengths, overcome the barriers that hold you back and plan the steps to achieving what you really want. Specialisms: recovery from addiction, codependency and growing up around them. Cathryn provides semi permanent make up treatments, Non Surgical Face Lifts, Semi Permanent Lash extensions, skin restoration, special occasion make up and Acoustic Shock Wave Cellulite treatments. 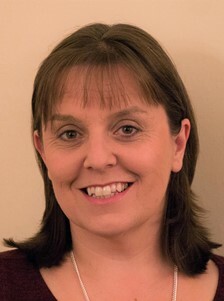 Christine studied and trained for 3 years at the Acupuncture Academy in Leamington Spa. Qualifying in Traditional Acupuncture with an emphasis on the Five Element approach.. Christine has since further studied sports injury acupuncture and helps people with a wide range of conditions such as stress, insomnia, depression and anxiety. The objective of Five Element Acupuncture is to balance the body for optimum health. 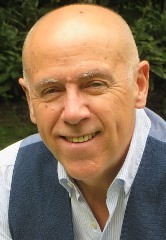 David is a Registered Clinical Hypnotherapist with 20 years experience of hypnotherapy. He specialises in stress & anxiety, fears & phobias, weight loss, habits, emotional problems, OCD and addiction. David is a caring and compassionate therapist, he uses a range of highly effective approaches in his practice to ensure each patient is treated sensitively and effectively to overcome even the most difficult problems. 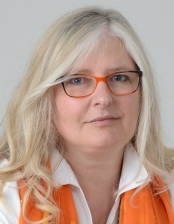 Debbie Pow - MBACP, Cosrt Registered Member. 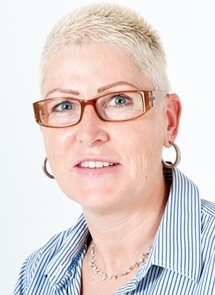 Debbie is a fully qualified and experienced Relationship Therapist who works with couples and individuals. Any kind of relationship problem can leave us feeling miserable and anxious. Debbie will work with you on any emotional difficulty that you are experiencing, either as a couple or individually, in a relationship or 'single'. Debbie will not judge you for the difficulties that you are experiencing and will work with you in a common sense down to earth way. Offering you the time and space to find solutions that are right for you. 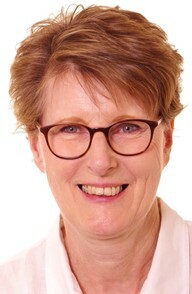 Elaine is a Registered Midwife, a Hypnobirthing Practitioner, Infant Feeding Specialist and qualified Tongue Tie Practitioner. She offers bespoke sessions to suit your individual needs, around hypnobirthing, antenatal education, breastfeeding, postnatal information and support. Ian is a fully qualified Person-Centred Counsellor and Psychotherapist having experience of working with a range of client groups. 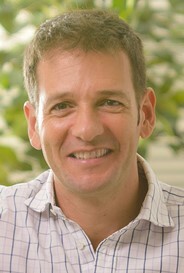 Ian is a registered member of the BACP and works within their ethical framework. Ian’s approach is warm, sensitive and non-judgmental. He will listen carefully to what you are saying and do his best to understand why your thoughts and feelings are causing distress. This is done in a safe and confidential environment and working in this way will allow you the opportunity to explore your thoughts and feelings on a deeper level. Ian is fully insured. 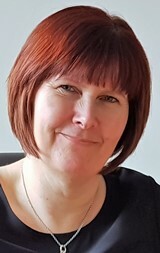 Jan has been a specialist Cognitive Behavioural Counselling Psychotherapist for twelve years offering short and medium term solution focussed therapy to young adults (16yrs plus) and adults seeking support for various life and mental health issues. These include Bereavement, Depression, confidence & low self esteem, trauma, physical, emotional and psychological abuse and OCD & phobias. Coming from a corporate HR background, she has spent several years employed within national Employer Assistance Programmes, specialising in work related issues, Stress & Anxiety management, Relationship and conflict management. 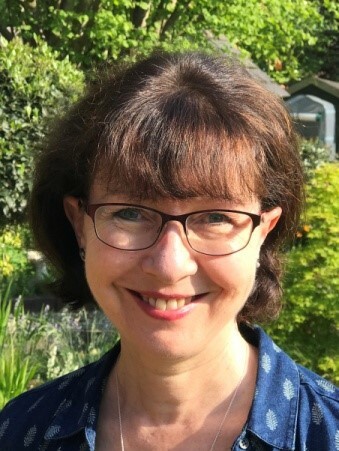 Being a qualified teacher in the Further & Higher Education Sector, Jan is currently involved in Counsellor training and for the last Eight years she has also operated as a Counselling Supervisor. I have been working in healthcare and education for over 35 years. It was as a result of my own chronic back pain that I first became involved with the Alexander Technique. Following success in applying the technique to my specific problem I began to recognise all the other benefits that the technique brought to my life. As I result I completed the Interactive Teaching Method (ITM) 4 year training programme in 2007 and have been teaching the technique ever since. I split my time between my Alexander Technique practice and lecturing in Physiotherapy at Coventry University. As an Alexander Technique teacher I use my training and experience to tailor my approach to suit each individual person’s needs. I feel lucky to have found the Alexander Technique and to be able to share it with others. Jayne trained for 4 years at the Institute of Optimum Nutrition in London and is now a Registered Nutritional Therapist (mCNHC, mBANT). She is very happy using nutritional therapy to optimise ANY health goal but is especially interested in preparing for the later stages in life. Health issues such as diabetes, cardiovascular disease, bone health and the menopause are of special interest. There is so much confusion about what we should or should not eat but by understanding your individual needs Jayne can help you “become the best you can be”. A dietitian can help to treat a wide range of medical conditions with dietary therapy, whilst also promoting nutritional well-being and preventing nutrition related problems. Dietary advice is always evidence based and tailored to each individual. Specific dietary advice can help to treat conditions such as diabetes, coeliac disease, obesity, high cholesterol or nutritional deficiencies, among other conditions. Specialist dietary advice includes that of the low FODMAP diet in treating IBS type symptoms. Joanne Scott has 14 years’ experience of working with clients for whom life's experiences are causing significant distress. Joanne has undertaken specialist training with a range of nationally recognised organisations including - CRUSE Bereavement Care; Terrence Higgins Trust working with HIV, AIDS and sexuality concerns, ASSIST Trauma Care in Rugby working with Post Traumatic Stress/Disorder, Safeline Warwick working with Adult Survivors of Childhood Abuse, Family and Friends providing support for individuals with a Drug and/or Alcohol dependency, Joanne has extensive experience of working in the area of Eating Disorders. As a Registered member of the British Association for Counselling and Psychotherapy, Joanne is bound by its Ethical Framework for Good Practice. 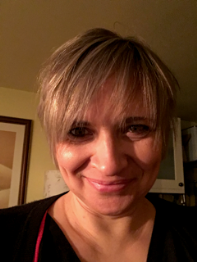 Jo has 16 years clinical experience and has trained in many disciplines including TCM & 5 Element Acupuncture, Fertility Acupuncture, Facial Enhancement Acupuncture, Specialist Pain Treatments, Craniosacral Therapy and Jo is a qualified Baby Massage Teacher. Julie is an experienced Person-Centred Psychotherapist who integrates Person Centred Art Therapy skills within her practice. Julie works with both couples and individuals with a broad range of issues such as depression, anxiety, abuse, alcohol problems and relationship issues. Herbal & Nutritional Medicine, Food Intolerance Tests. Lizzie has been practising as a medical herbalist since 2005, after obtaining her degree in Phytotherapy, the scientific study of herbal medicine. She works in general practice, seeing patients with both chronic and acute conditions, while her particular interests are in the support of cancer patients, dermatology, and gut health. She has experience in treating many diverse issues, from simple coughs and colds to complex and rare disorders. Treatment for new patients begins with a one-hour consultation where a full health, social and diet history is taken. Then a treatment plan is made to support the whole person, as well as their symptoms, with an individually tailored prescription of herbal medicine, nutritional supplements and any other relevant lifestyle advice and support. During follow-up appointments the plans made during the first consultation are built upon, and the herbal medicine prescription may be altered. The essence of Lizzie’s practice is, in partnership with her patients, to support and treat the whole person and to improve their general well-being and vitality, while at the same time dealing with their presenting health issues. Louisa is a Person-Centred Psychotherapist who integrates Cognitive Behavioural Therapy and Person Centred Art Therapy skills within her practice. Louisa has experience of working with individuals and couples who present with a broad range of issues including depression, anxiety, abuse, substance misuse, alcohol misuse, bereavement & loss, emotional difficulties and relationship difficulties. Louise is a registered practitioner in a variety of Holistic treatments which work to rebalance the body, mind and spirit. Louise offers a range of treatments to promote wellbeing. Treatment can be part of an on-going plan to maintain balance and homeostasis or as support for the body and mind in times of stress, or during and after a time of illness. The treatments Louise offers are planned to work in the most positive way for the individual following a personal consultation. The Aromatherapy that Louise practices includes a full client consultation to decide upon the best blend of oils for you. This means that the oils are specific to your own personal needs and take into account your own preferences. Please feel free to contact Louise for further advice and Information on the treatments available. 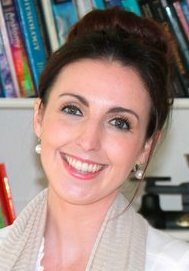 As a qualified Psychologist, Life Counsellor, NLP Practitioner, Performance Coach and Mindfulness Teacher you will receive a therapy that combines all these therapies and is tailored to you and your needs and goals, and will teach you sustainable tools and techniques for today and in the future. I specialise in providing counselling for mums. Can you relate to any of these issues? Do you constantly feel guilty and worry that you are a ‘bad mum? Are you feeling anxious and disconnected from the adult world? Are you struggling to control your anger? Are you having difficulties in your relationship? If you can relate to any of these issues, I can help. I also appreciate how daunting counselling may feel. I, therefore, make every effort to make you feel at ease, by offering you a safe and confidential space, where you can speak freely without the fear of being judged. 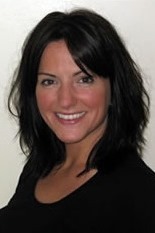 Paula has been a successful sports massage practitioner since 2002. 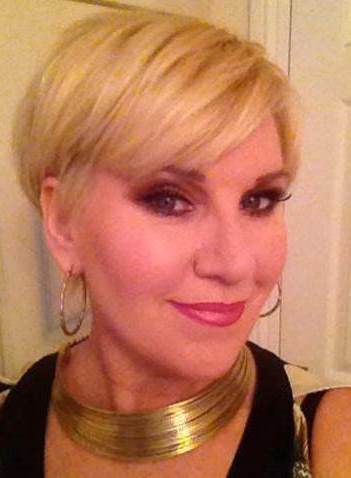 During that time Paula has helped hundreds of clients get their lives back on track. 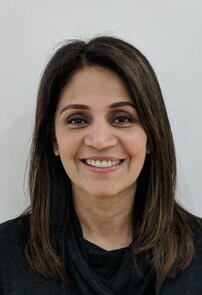 She specialises in deep tissue massage, posture analysis and correction, kinesio-taping, biomechanics and gait analysis, treating a range of ailments for both sports and non-sports related injuries. A fully qualified, accredited member of the Sports Therapy Association, Paula has worked with the All England Netball Team, the Birmingham and Solihull Physiotherapy Trust, Ironman, and Birmingham and Solihull Rugby Team. Qualified to masters level Paula also lectures in the fields of injury rehabilitation and sports massage at universities and colleges across the country. Rebecca Morgan is a qualified professional Holistic Massage Therapist with the Massage Training Institute and has been working at practises throughout Birmingham providing treatments such as Holistic Massage, Deep Tissue Massage, Indian Head Massage & Seated Acupressure Massage. My name is Sarah and I am a qualified and experienced Counsellor and Cognitive Behavioural Therapist. My company name is Open Path Counselling. I have experience of working with individuals with a range of issues and difficulties, including anxiety, depression, work related stress, low self-esteem and confidence, relationship issues, obsessive compulsive disorder (OCD), and phobias. Even though I specialise in Cognitive Behavioural therapy (CBT), I am a believer that therapy is not a “one size fits all” activity, therefore I work with an collaborative approach. I am open with listening to your concerns and problems, as I offer you a safe, nurturing and confidential environment for you to explore your issues which may be affecting you. My clients control the pace of therapy, I can guide you across that path with the support you need. Taking the first step into therapy can be a daunting task but I will make that process as comfortable as necessary. Sharon has worked as an alternative therapist since 2008 and is qualified in homeopathy, intolerance testing and Access Bars. This enables her to work with all ages, helping people improve their wellbeing whether they are dealing with physical or emotional ailments such as autism, M.E., eczema, depression, stress, headaches, IBS, allergies and hormonal imbalances. Kinesiology is a non invasive holistic therapy which aims to improve performance, reduce pain and promote health and wellbeing. The PBK system is unique and treats the person as a whole. 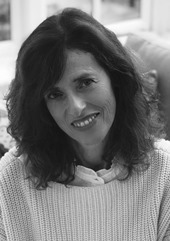 Stella is also one of only three qualified PBK Soul Journey Practitioners working in the UK at the moment. The PBK system enables you to overcome limitations rooted in previous experience, trauma, stress, pain or search for purpose. In many cases trauma or anxiety issues can both have a similar impact on your life. The single most obvious indication is usually an intense and unpleasant reaction to things which would not normally be a problem. The sense of being held back, or holding back, from some aspect of your life for no immediate reason is a clear indicator that there is emotion 'locked in' about that issue. Using Hypnotherapy and EMDR (the same methods that the US army use to treat soldiers with PTSD) anxiety can be treated successfuly and fairly quickly.